Top notes - Sicilian Lemon, Calabrian Bergamot, White Gardenia, Black Pepper and Ylang Ylang. Middle notes - Egyptian Jasmine, May Rose, Iris, Lily, Cloves and Tonka Bean. 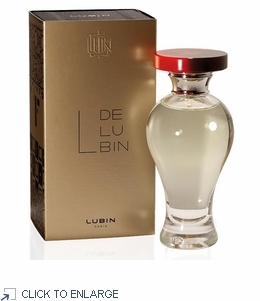 A heady scent from the 1970s, L de Lubin was a favorite of disco idols on the dance floor. Indian wood notes and spices from Thailand are overlaid with a refreshing blend of Tuscan flowers and Sicilian lemons. Florentine iris gently washes over the top notes, which are smoothly fruity and floral. Base notes - Rosewood, Patchouli, Mysore Sandalwood, Heliotrope, Vanilla and Musk.